When the weather warms up and you’re getting excited to get your boat back out on the water, it’s time to brush off that winter dust and take your boat out of storage. Here are a few maintenance tips on how to dewinterize a boat and make sure it’s in ship shape for the coming season. The first step to ensure you have an easier time getting your boat ready to go in the spring, is to make sure you properly winterized your boat. Do you have to dewinterize or winterize your boat? Technically, no, but taking the extra time and effort to do a few preparation steps will not only save you time, but it could save your boat from “dying” over the cold months. Every boat is different, so make sure to check your maintenance manual for more tips on winterizing your boat. But now that it’s spring, it’s time to check and see if all of your pre-planning back in the fall paid off. An initial visual inspection for cracking, brittle spots, or softness on fuel hoses is a must. Replacing worn out units will ensure you give your boat the best start for the season. Also inspect your fuel system for leaks or any other damages, as well as verifying all fittings and clamps are secured properly. A simple way to do this is to wipe lines with a clean rag and then smell the rag to make sure it doesn’t smell like gasoline. When checking under the engine, or if you hear any exhaust noise, you may have a loose belt or hose. 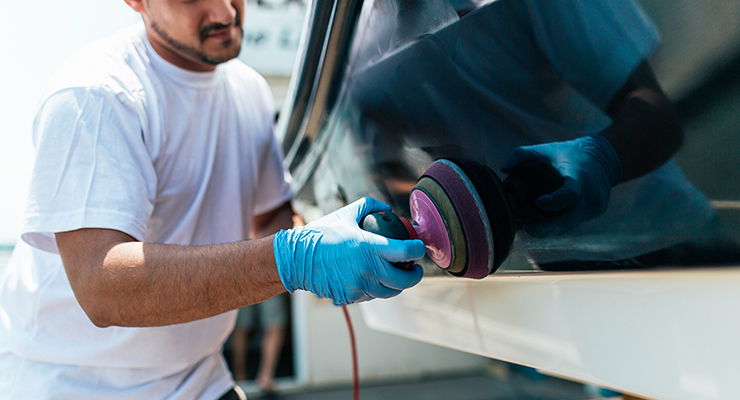 You may notice a black residue near a loose-fitting pulley, which is a sign of wear and tear. Belts should fit tightly around pulleys to prevent slipping. As with the fuel systems, check for cracks or breaks in hoses since they may have cracked during winter storage. If you charged your battery before winter, it should be in good shape, but double check that the cold temperatures didn’t diminish the charge over the colder months. Having a battery tester to ensure it can hold a charge is also a good practice for proper boat maintenance. Turning off the battery switch (if possible) will also allow you to check if the automatic bilge pump float switch is working. In addition, check, clean, and tighten all electrical connections and make sure there is no corrosion. If you didn’t change all of your fluids or filters before winter, now is the time to do it. Make sure your engine oil, power steering, power trim reservoirs, and coolant fluids are at a good level. In the future, do these steps (as well as changing filters and lubricants) before winterizing your boat. Boats with propellers should be checked for cracks, distortion, or any other obvious damage before use. This can help avoid unwanted vibration and damage to the boat’s drive train. Cleaning off any debris from your boat’s propeller or propeller shaft throughout the season may also help you avoid having to take your boat into the shop for further inspection if a problem occurs. When checking the hull, know that lingering moisture or water can cause corrosion, waterline stains, or mildew. Wiping off that excess moisture will go a long way in keeping your hull free from damage such as blisters, distortions, and cracks. Proper safety equipment should be checked every time you go out on your boat, but the beginning of the season is a good time to check if anything needs to be replaced. All life jackets should be in good condition and the right size for your frequent passengers—for example, children may need larger ones as they hit growth spurts. Also make sure all of your onboard fire extinguishers are properly stowed and the correct class for your vessel. If there are any enclosed areas on your boat, it is good practice to have at least one carbon monoxide detector on board as well. Dewinterizing a boat can be a lot of work, but it’s important to not forget about the rigging, as well, if you have a sailboat. Boat U.S. recommends checking swage fittings for rust and cracks as well as making sure the rigging is supple and free of chafe. It’s also important to make sure winches are spinning and clicking properly for good safety practices. 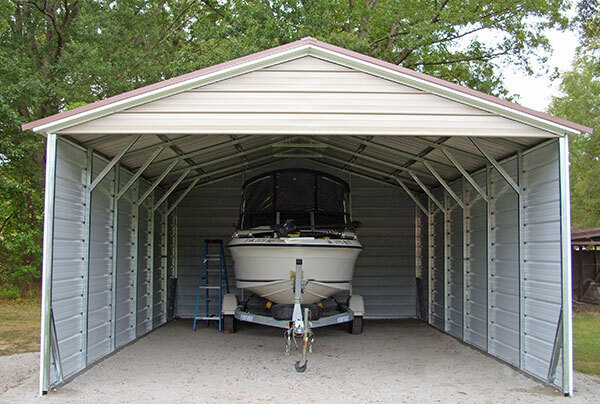 While your boat will always require annual maintenance, its storage space should not. Having a solid building to keep your vessel safe and dry is important to being able to follow any of the above tips. When you work with Newmart Builders, you’re guaranteed to have a storage building that can withstand the elements and the test of time. Contact us today to learn more!